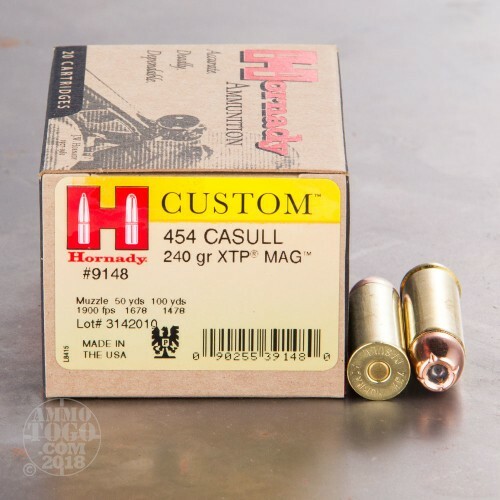 This 454 Casull round from Hornady’s Custom line of ammunition features the 240 grain XTP Mag projectile. It’s able to withstand powerful magnum pressures without deforming, which along with its uniformly dense swaged lead core delivers the accuracy you want for hunting and absolutely need for self-defense. The XTP Mag is a hollow point with exact serrations that split it into symmetrical sections, enabling it to mushroom outward reliably even at lower velocities. Rate of expansion is further controlled via the XTP Mag’s jacket, which is drawn with varying thicknesses down its length. 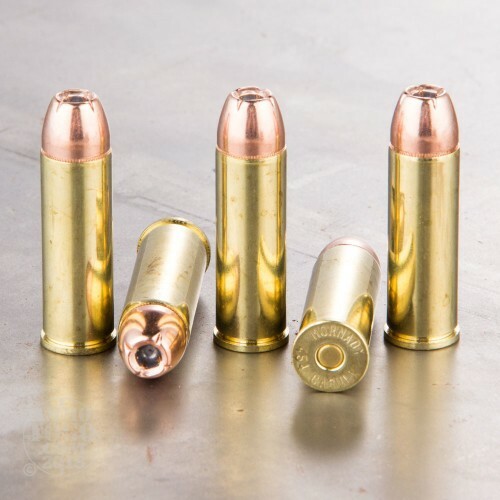 A Custom round is meant to give you performance like a carefully handloaded round would provide. With its select brass casing, propellant matched to deliver the best that a 454 Casull revolver is capable of accomplishing, and highly responsive primer, you’ll be able to confidently venture through bear country without worrying about anyone stealing your pic-a-nic basket. posted on 3/10/15 by Robert B. Went through a box of these today. Nothing subtle about them, just...awesome, massive rounds. Drew a lot of attention at the indoor range - phenomenally loud, huge muzzle flash and significant recoil, even with a 6-1/2 inch barrel Raging Judge Magnum weighing around 6 lbs. 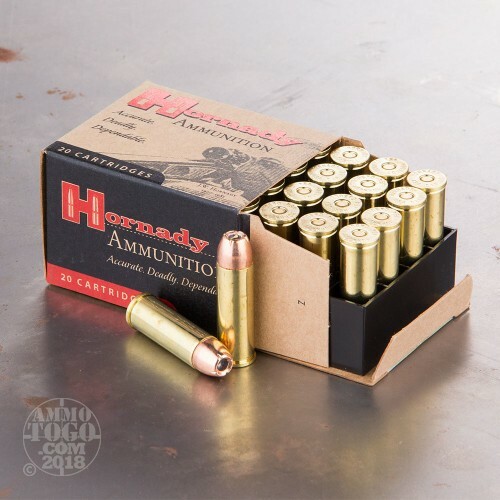 1900 fps handgun ammo just cannot be described, it must be experienced. Burned relatively clean with no misfires or issues. Outstanding HD round. 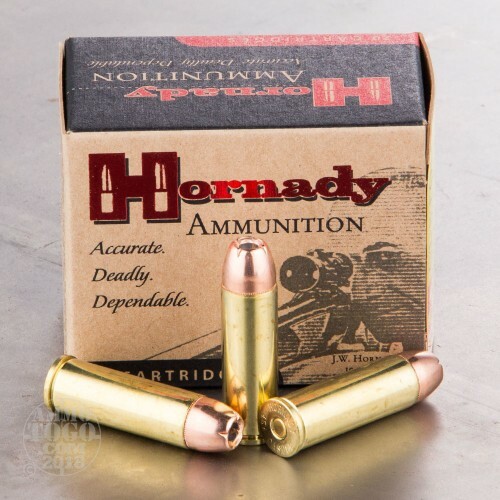 Well done (again) Hornady.